​"I traveled from Northern Ireland to seek Pete's help and am very glad I made the trip". ​"I went to see Pete Jowsey for Physio after having a lot of pain near my shoulder after a Quad bike accident in August 2017 which was then restricting me from training for The CrossFit Open to make my 4th trip back to Regionals." "After a one hour session with clinical examination and using barbell demos Pete had diagnosed the problem was coming from my neck. Pete set me out a detailed rehab plan and spoke with my coach to inform programming decisions in relation to the injury." "Thankfully since following the rehab plan I haven’t had much problems with the neck and I went on to qualify for The Commonwealth Games & CrossFit Regionals that season." "I would highly recommend Pete to all CrossFitters in the Bristol area. I traveled from Northern Ireland to seek his help and am very glad I made the trip." "(I was) having a lot of pain near my shoulder....which was restricting me from training to make my 4th trip back to Regionals." "Since the rehab plan I haven't had problems." ,, ​"In May I sustained an injury to my knee two days before the CrossFit European Regionals and there was a lot of swelling!. I immediately contacted Pete. Knowing the urgency of the matter Pete managed to see me that evening." 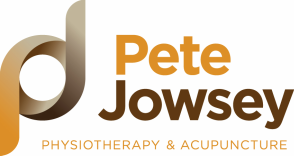 "I have seen a few people over the years for various niggles and I can safely say that Pete's clinical knowledge and treatment in this field is far superior to any I have received in the past. Not only this, he was also aware of the specific competition events I was doing, and provided a tactical approach to getting through the workouts whilst minimising any further risk to the knee. I feel this personal approach really highlighted the value of the treatment I was receiving." "With Pete's help I was able to compete and complete the event. After continuing the treatment and rehab protocols for a few weeks, I was pretty much back to new." "Working in the fitness industry, I truly believe that you get what you pay for - Pete is extremely knowledgeable and I have already recommended one of my clients to him." "I sustained an injury to my knee days before the CrossFit European Regionals. I immediately contacted Pete....with Pete's help I was able to compete." ​​"After continuing rehab protocols I was pretty much back to new."